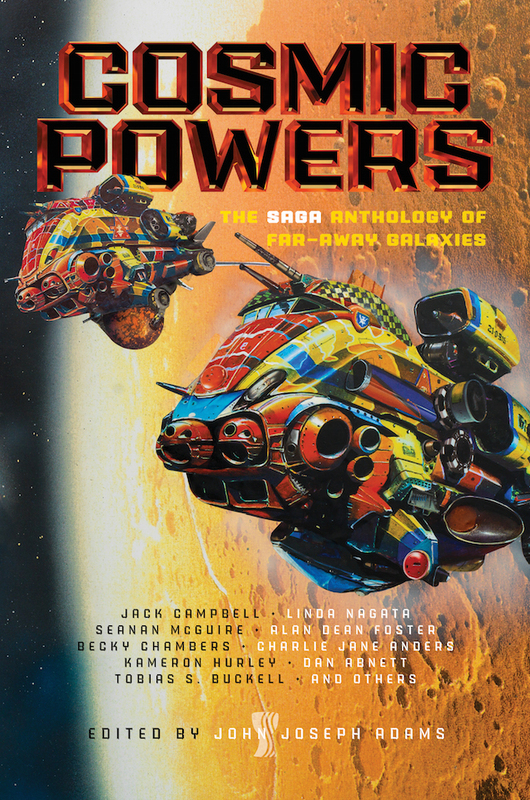 "The Deckhand, the Nova Blade, and the Thrice-Sung Texts," by Becky Chambers [bio] (edited by John Joseph Adams), appeared in Cosmic Powers (RSR review), published on April 18, 2017 by Saga Press. Pro: The best thing about this story is the big emotional charge we get at the end. We learn that the narrator was right about someone reading her log, and somehow the approval of that person, who knows her, is worth more than the adulation of millions, who don’t. Con: That scene is the whole point of the story. The rest of the plot is paper-thin. We never even see the Nova Blade, much less witness the narrator using it. The diary/log style worked really well for me, but the end needed some sort of switch to maintain the tension.